When LinkedIn changed their groups, there was outrage by the group managers and moderators. LinkedIn had gone one step too far in trying to make groups more accessible to more people. Result? A lot of groups folded, moved to Facebook. Staying Alive UK create an infographic. 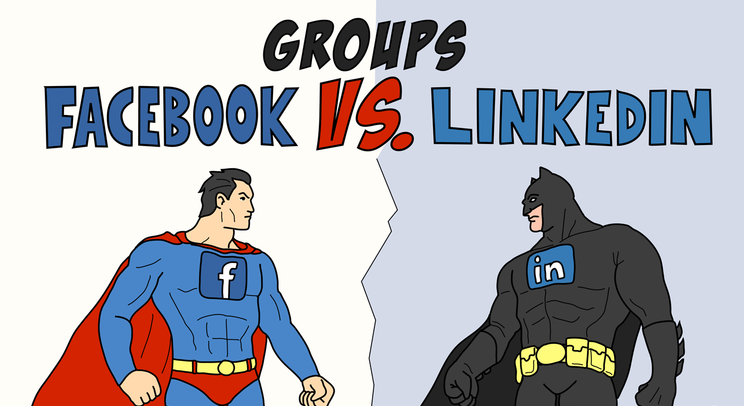 Superman (Facebook) vs Batman (LinkedIn). Points are awarded merely based on the amount of functionality options that exist on each platform. There is no doubt that Facebook has a significant advantage over LinkedIn in many areas and it makes it a far better and more enjoyable experience for the user and the manager.